Jesper Taube received his musical training in his hometown Stockholm at the Adolf Fredrik Music School, Opera Studio 67 and the University College of Opera. Numerous scholarships like e.g. The Walton Grönroos Memorial Award, The Royal Academy of Music G.A. Johansson Award, The Royal Academy of Music Christina Nilsson Award and The Drottningholm Court Theatre Award made it possible for him to study with prominent teachers such as Walton Grönroos, Håkan Hagegård, Gundula Janowitz and Craig Rutenberg. 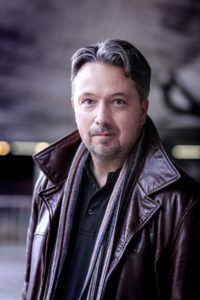 Immediately after graduating Jesper joined the ensemble at the Royal Opera in Stockholm in 2001, performing roles such as Eugen Onegin, Marcello in La Bohème, Figaro in Il Barbiere di Siviglia, The Count in Le Nozze di Figaro, Posa in Don Carlo, Moralès in Carmen and Belcore in L’elisir d’amore. He was invited for Claudio in Béatrice et Bénédict in Baden-Baden and Paris, Silvio in Pagliacci at the Malmö Opera and Valentin in Faust at L’ Opéra de Massy in Paris. Further engagements include Guglielmo in Konwitschny’s Così fan tutte, the title role in Wallenberg by Erkki Sven Tüür for The Estonian National Opera, Ford in Falstaff, Dandini in Cenerentola, Gabriel von Eisenstein in Die Fledermaus, Malatesta in Don Pasquale and the title role in Rigoletto. In 2011 Jesper Taube made the transition from baritone to tenor and among recent and upcoming roles to be mentioned are Cavaradossi in Tosca, Pinkerton in Madama Butterfly, Don José in Carmen, Kalaf in Turandot and Laca in Jenufa.